I'm nursing a rare headache while typing this post at 1 am. It must be because of the weather, I overslept or my frustration about my failed blog makeover. I'll catch more sleep as soon as I finish this post. When I wake up, I'm hoping for a really Beautiful Sunday. I know this is late for Mother's Day. But last Sunday, I was able to treat my Nanay for dinner. 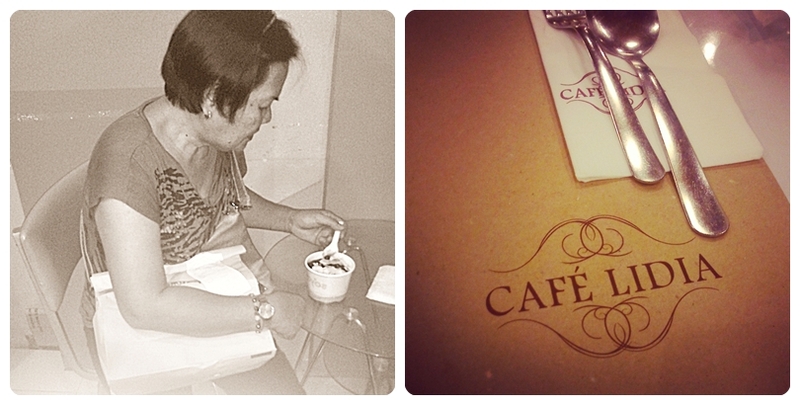 We went malling, Nanay had her favorite taho and ended the day at Cafe Lidia. We had our favorite Sansrival Slice, Spicy Buffalo Wings and Pasta Marinara. Now I realize that I should do this more often. I should bring Nanay to my favorite restaurants every month. Since I'm talking about eating here, I'm sharing my recent food discoveries. This is not another restaurant find though. 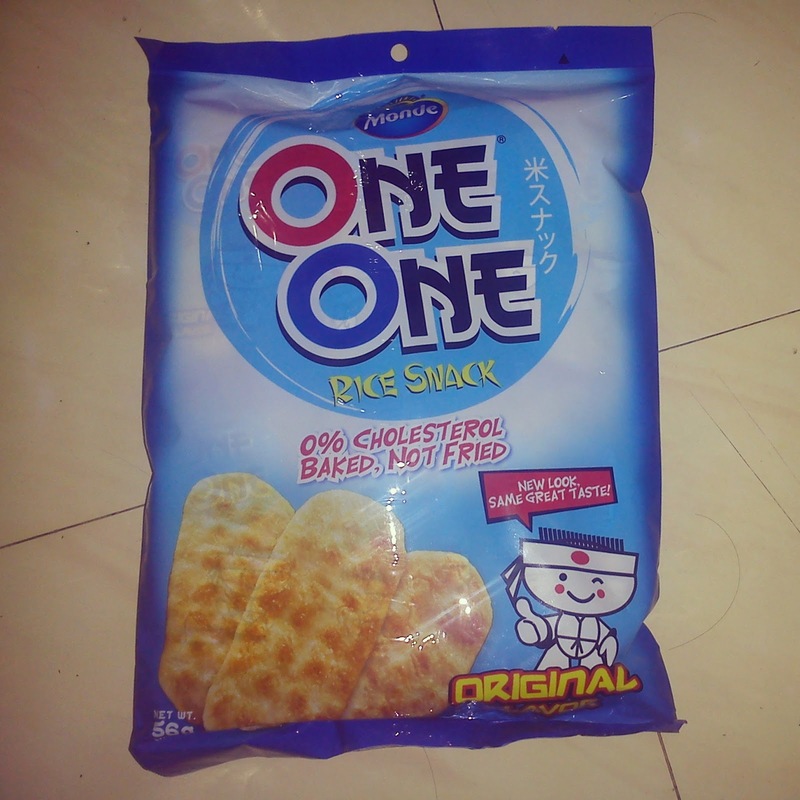 Payday is faraway to splurge on another expensive meal ;) What I will share are new cheap but tasty snacks added in my list. I've always been loyal to Ruffles, Lays and Doritos. 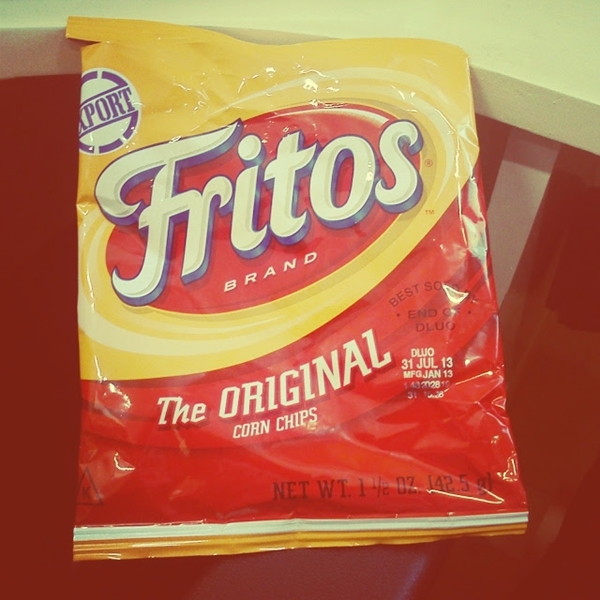 Fritos is something new for me since I rarely see this in supermarkets. I found this at the workplace's cafe. For those who are following me on Instagram, you might remember my verdict for Fritos. Lasang Chippy (It tastes like the local corn chips, Chippy) I was a bit disappointed but there's one thing I appreciate about Fritos. Unlike Lays and Ruffles, the entire bag is full of chips and not air! This may not be my best heavenly junk food but for the sake of quantity and value for money, Fritos is good. This one is a new discovery. 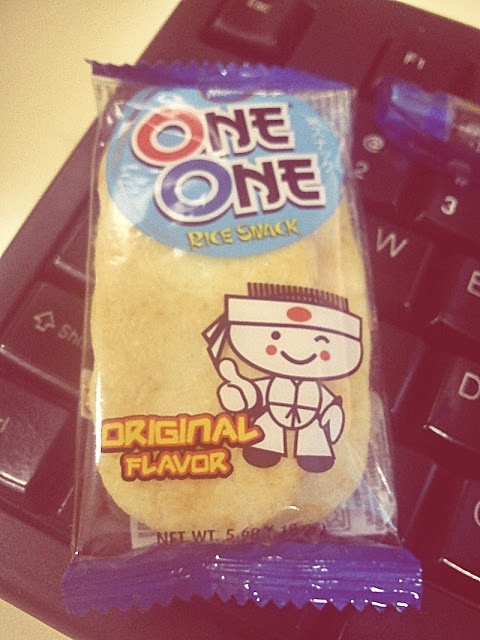 I love Japanese rice snacks. We are bit lucky in the Philippines because Japan is nearer. Hence, there's always an area for Oriental snacks in most large supermarkets. The only thing I don't like here is the relatively expensive prices of imported goods. When I went to the supermarket, my only plan was to grab some light snacks for work. But when I passed by the area for imported goods, this caught my attention. 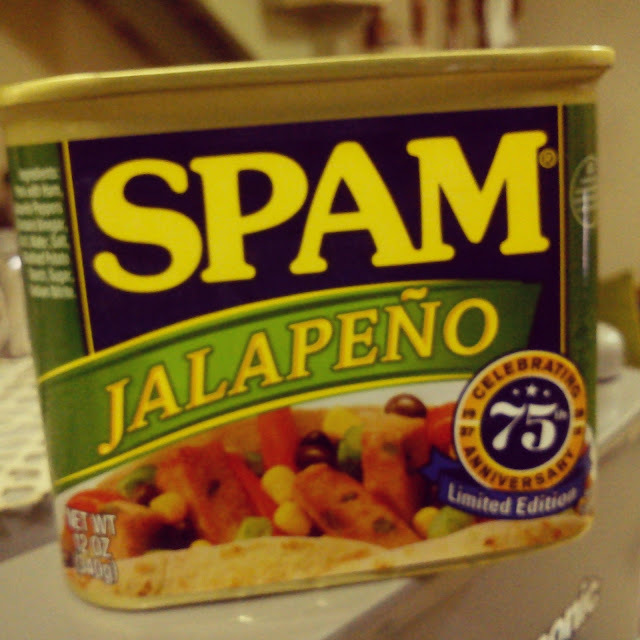 I love Spam and for us Filipinos, this is a common pasalubong (gift) from our friends and relatives working abroad. My all time favorites include the Classic Spam and Hickory Barbecue. It's my first time to encounter a variant in Jalapeno. I took this home and my verdict, 5 out of 5 stars. Life on the refrigerator door! After a week long work, Friday night is always the best day to unwind and meet up friends. I didn't get invites but I'm itching to go out. As always, I'm doing things on my own but splurging for an expensive meal cannot happen. Hence, I ended up with an all time reliable favorite. Rice with spicy chicken chorizo from Rice in a Box! While other women consider chocolates as comfort food, mine is always different. I go for carbo loading to make myself feel good. Who says I'm on a diet? By now, I hope you have understand the title of this post ;) Wishing everyone a great Sunday! How sweet of you to treat your Mom to dinner! That rice in the box looks delicious! You always find the best food! Those rice chips look so yummy. What a sweet pic of your Nanay, too! Love the new look of your blog....NICE!!! Happy Sunday! Sweet hugs!